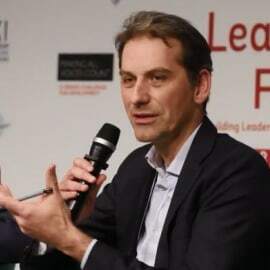 Herman Brouwer is a senior advisor at Centre for Development Innovation (CDI) at Wageningen University & Research, The Netherlands, working on multi-stakeholder engagement for sustainable and inclusive agriculture. He advises, trains and coaches professionals across sectoral boundaries on how to contribute to sustainable development through collaboration. Herman is committed to contribute to the transition towards sustainable and inclusive food systems. Using his advisory experience with a variety of international clients, he regularly gives masterclasses on solutions for feeding a growing an urbanizing population with changing dietary demands, while at the same time reducing the environmental impacts of agriculture. As an accredited PBA partnership broker, Herman is supporting local and global partnerships, mainly in food security and natural resource management, in more than 25 countries. He divides his time between governments, companies, civil society organisations and research institutions. He is lead author of the acclaimed MSP Guide: How to design and facilitate multi-stakeholder partnerships, which has been referred to as an “invaluable management tool for identifying the core principles, tools and considerations needed to optimise your organisation’s approach to engagement”.